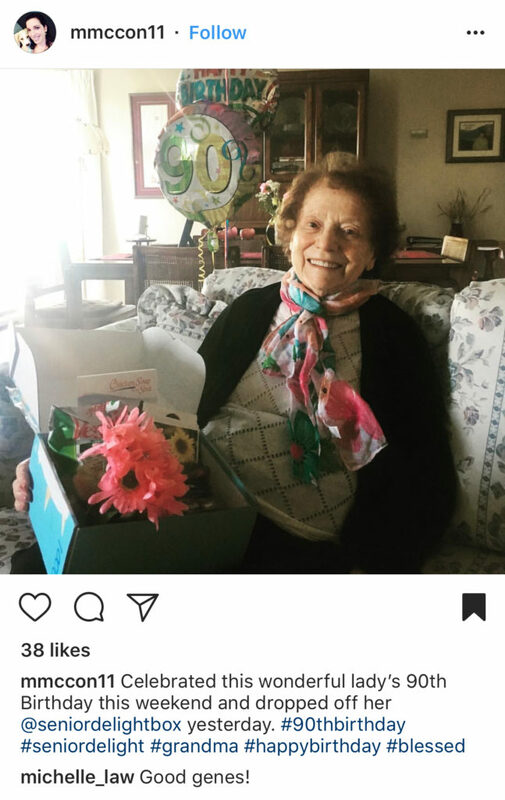 Today we’re interviewing Senior Delight Box, who we found on Instagram. 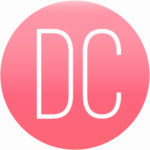 They provide monthly subscription boxes that can be sent to a loved one, at home or in care. We think it’s a great idea and had never thought such a notion until we saw Senior Delight. 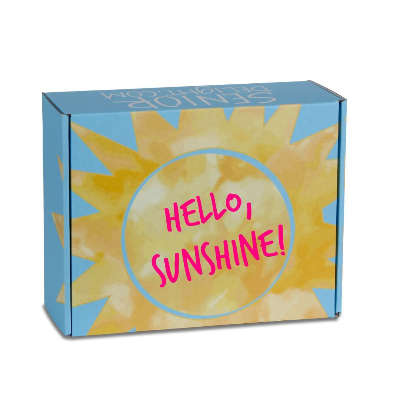 New to subscription boxes? -You can view the top 10 subscription boxes in the UK here. Subscription boxes for senior citizens can be viewed here. We love the idea of subscription boxes full stop but subscription boxes for seniors are truly fab. What gave you the idea in the first place? Thank you so much! We’re happy to hear you like the idea. The points of inspiration actually came from a few different places. For the past ten years, I’ve been working in the geriatric healthcare space, which includes working with elders in hospitals and living in nursing homes. I was able to help them quite a bit with acute ailments or concerns, and I built relationships with their family members, whether they were there while I was helping the elder or I would connect with them before and after I visited them either via phone, text, or email. With this experience, I quickly came to realize that ageing can be a really tough process. Even with the best of health and the most supportive of families, seniors are eventually confronted with so much change. The roles they have in their families or in the workplace can shift; they may see a decrease in their independence if they are physically less mobile or no longer able to drive; they may have “senior moments” or some degree of cognitive decline; many have experienced and will continue to experience at a more rapid rate the loss of friends and loved ones around them. Add this on top of the change in how people interact with them, it can be a challenge to maintain a happy disposition even for our most optimistic seniors. And while this is a major issue for the seniors, I also recognized that the family members around them can oftentimes feel discouraged because they are limited in helping the situation. And after a lot of different ideas, the box was the one that really resonated. And I’m very energized by the fact that this allows for a broader conversation amongst families and caregivers. So many caregivers can feel isolated, but we’ve created a community of a bunch of good-hearted, compassionate people that are so genuine in connecting and sharing ideas on how to help support their elders on their journey. In a lot of ways, we see this box serving as a vehicle to have these connections and conversations. What’s in a typical box from senior delight? First off, it’s important that I share that we always include a letter to explain what’s in the box and what the intentions are of the box. One big thing we emphasize is that they are welcome to share or give away anything they’ve received from us. This may seem like a silly or unnecessary concept if you haven’t spent a lot of time with seniors, but it’s one of our most important intentions. Essentially, as seniors get older, their opportunities become increasingly rare to go to the store to buy something special or create a thoughtful gift. But, they don’t lose the desire to contribute and give. That’s a great feeling. So, we make it clear that they can enjoy things for a few days, or if they don’t “need” something that’s in the box, here’s an awesome opportunity to make someone else’s day who isn’t expecting a fun surprise. They love this, and so do we! 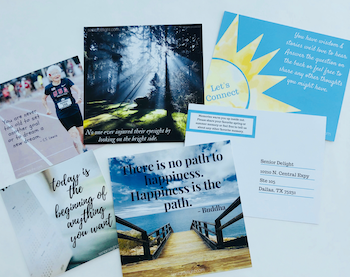 Beyond that, we always include customized cards of inspiration with which they can decorate an area of their living space, or they can share with a friend. We sometimes include short books to engage their minds, make them think and respond. We include funny items (gag gifts) and games to encourage them to engage in social interactions with whomever they can. We include items specific to their hobbies or passions as well as a healthy snack. We include stationery and a new pen, and we encourage an exercise of gratitude by writing a “thank you” note to anyone they see on a regular basis but maybe do not express gratitude in a formal way. And as often as the purchaser allows, we will include personal photos and notes from the family. Do you think that senior delight box can help with loneliness in those who might not always have family available or close by? Absolutely! That is a key component of our mission. 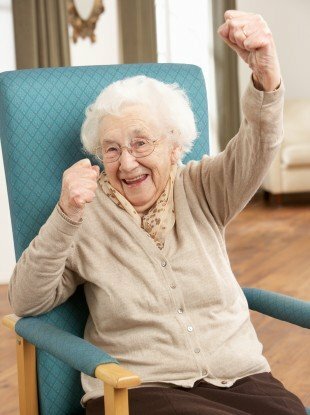 For family members who can’t go visit their elders as often as they’d like or if they live far away from each other, we think sending a personalized “box of warm wishes and good cheer” is a really easy and fun way to remind your elders how much they are loved and to energize them to laugh and have fun and enjoy the day! 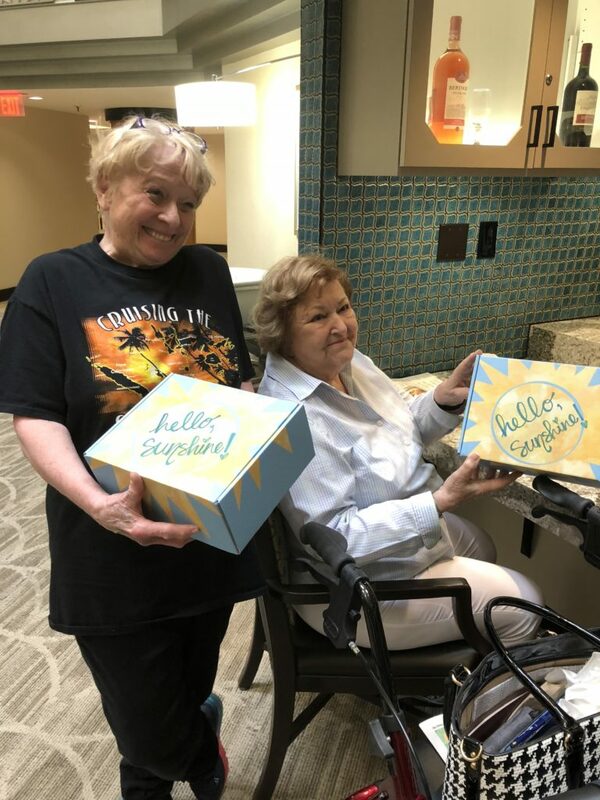 Can senior delight box be delivered to those who no longer live at home and maybe in assisted living or nursing care facilities? Yes! 100%. The assisted living and nursing care facilities were our primary target when we started, mostly because that was where my experience was and where I recognized there was a great need. But we’ve found that elders living in all types of environments have been a great audience for our box. Family members are gifting the boxes for birthday presents, special occasions, and everything in between, and having them sent directly to the homes of the elders. We know that you’re currently based in the USA in Texas, Where do you currently ship to? Currently, we are shipping to all countries in North America, the UK, and Western Europe. 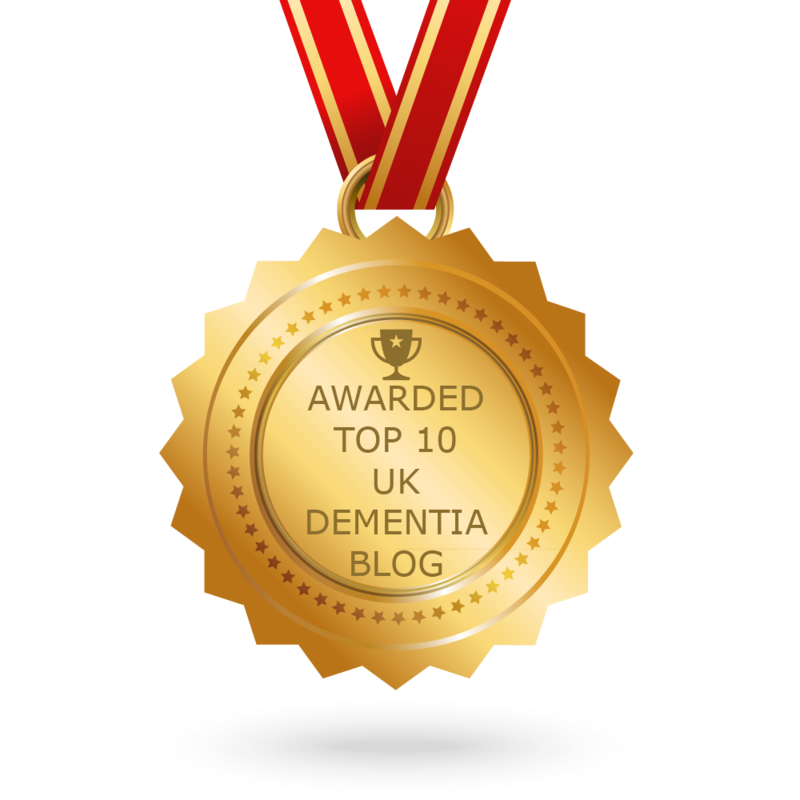 We hope to expand that to worldwide as we build our team to support more and more seniors. What’s the monthly price of a senior delight subscription box? Our month-to-month subscription is $42.99, but we have discounted rates at 10%, 15%, and 20% off if you sign up and pay for multiple months at a time. We’ll be honest, until we came across you guys on Instagram we had no idea about subscription boxes for seniors. We’ve since looked it up and we’ve seen there are more than one kind of box currently being offered. What would you say is different about Senior Delight and what sets you apart from the competitors? From the research we’ve done, we have yet to see any “senior-focused” boxes that understand the complexity of different senior housing environments. 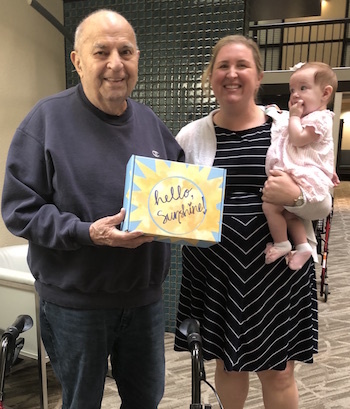 Our team’s experience working with seniors in their own homes, in assisted living facilities, and nursing facilities and also with connecting with their family members have given us unparalleled insight into their day-to-day lives. So, we have a very real idea as to what their living space looks like; how limited they can be; what their challenges typically are, and how we can encourage activities that would fit well within that environment. It may seem silly, but something we know is to never send hard nuts or really sticky snacks because a lot of seniors have dentures or dental work that they would not be able to try those snacks; yes, they could give them away, but we’re wanting them to share items because they choose to share them, not because they have no use for something. We also think our efforts to personalize each box experience differentiates us quite significantly. This isn’t a bulk shipment, every senior is the same, type business for us. This is our passion. We really care about the family members we’re working with to surprise their elders. I think we get just as excited, if not more, when we send the boxes out to see how delighted they are to receive it. But despite these differences, I think it’s important to note that I’m really happy we have “competitors” in this space because we don’t really see them as competitors. Senior care is a very challenging space to be in; there are so many seniors who are struggling physically, mentally, and emotionally. So, we see this as an “all hands on deck” type situation. We welcome anyone and everyone into the space that has a desire to enhance the lives of these beautiful people. The more of us that are trying to help, the more lives we will be able to touch J I realize that may sound super cheesy, but that’s honestly how I feel about it. Can you show us a photo of a typical box and its contents? What’s the mission of senior delight box? Our mission is to collaborate with families and loved ones in their ongoing efforts to love and support their elders; we want to create thoughtful experiences for these seniors that are joyful, inspired, and engaging. For anyone who’s reading this and is interested in subscribing (a delighter) and purchasing a package for a loved one, what’s the process and how do they do it? It can be as simple as going to our website seniordelight.com to purchase one box, making sure to include the address of the senior you are wanting to delight. If you have a little extra time, or if you want to make it a bit more personalized, you can take fill out as much information as you’d like on our survey, and you can also email us at info@seniordelight.com any photos and/or personalized messages you would want to include the box as well. Is there a fear that people will either end up with more items than they have space for? Should everyone consider a subscription box for their senior loved one? Well, we would love to say “Absolutely! 100%” And we do actually believe that in almost all situations; we think having this monthly “delight” sent to your favorite elder is a great way to connect with them in a thoughtful way. But we don’t say 100% yes because we currently have not outfitted our box to make it a valuable experience for an individual elder who is completely blind or someone who has severe dementia or Alzheimer’s. While we hope to create a “sensory”-based box for those who are blind, we want to set expectations appropriately that those elders would not enjoy the contents of our boxes as they are currently arranged. What do you think is the future of senior subscription boxes? 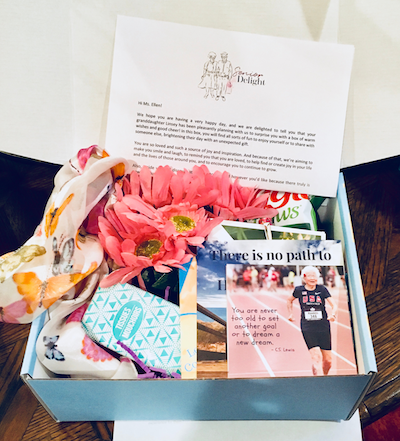 We think subscription boxes can really help bridge the gap for some seniors, as they’ve lost their independence or mobility. 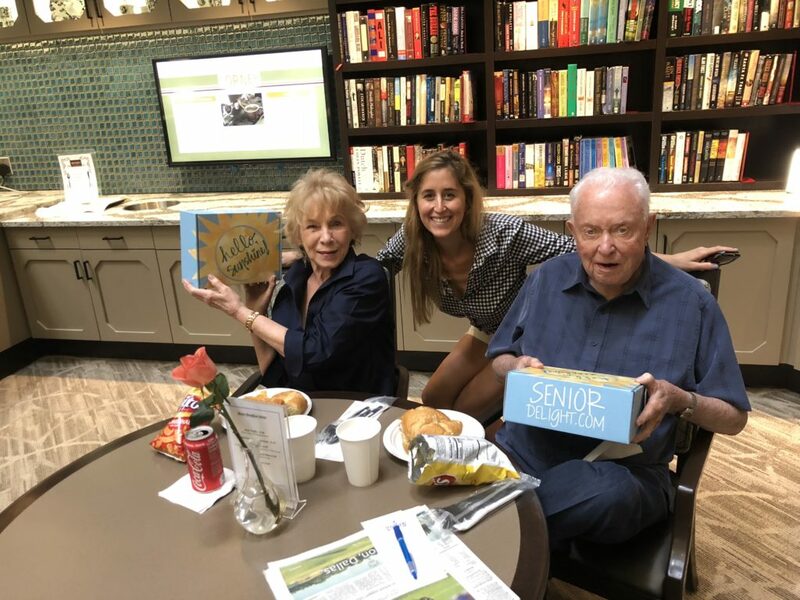 Starting off as a gifted option (as our box is), we think exposes seniors to the concept of how easy and fun it is to receive something in this way, and it might open their comfort level to consider other products via a subscription service as well. 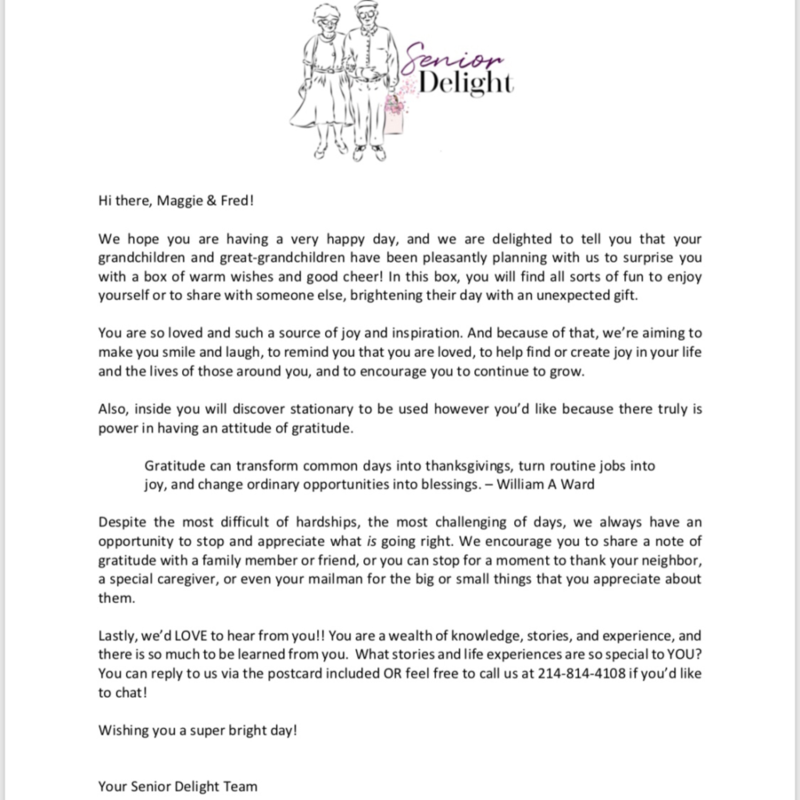 As for the future of Senior Delight specifically, we have plans to expand our offerings as well eventually. We’ve found that our community trusts our experience and our voice in information we share and conversations we have with them about things to consider with their elders. So we hope to be a place where they can get ideas and order other “senior-friendly” items for their loved ones at various stages in life.